Stephanie Champine is no stranger to the Challenger Series, her American team PVL team 'Lakeshore Surge' competed in the 2nd Challenger Event last year, finishing second to Galaxy Prime. Now she's back, joining the new Unity Reign team for the first Challenger Event of the season. Fellow American [and boyfriend] Shaun Dryden has joined her this time, teaming up with the 'Goon Squad'. This dynamic duo is a power couple in the American volleyball world, and we love that they've decided to head north to spike our competition. Loves: dogs - "I have puppy fever!" Stephanie Champine was looking for a right side in a tournament down south when someone recommended Stephanie Neville. "I absolutely loved her playing style and personality so I started picking her up for more tournaments. Then she started inviting me out to tournaments her way," Champine says. "I love meeting and playing with or against new people so I'm always excited to get picked up for new tournaments. 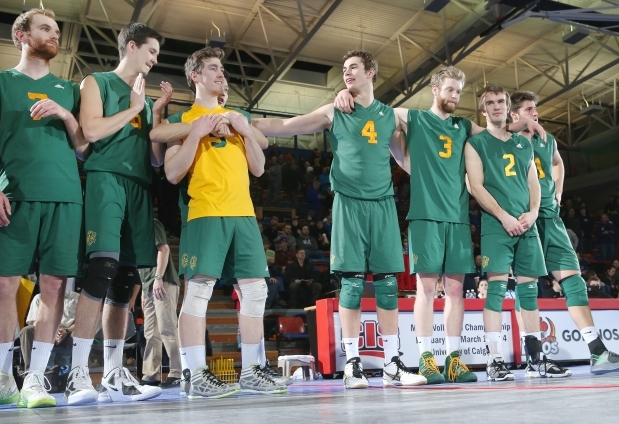 Being able to drive just 6 hours to play in a different country is pretty awesome." Champine was recently inducted as a part of her team into her high school Hall of Fame, where her jersey is retired. But coming out of high school, she wasn't sure she wanted to play anymore. "My high school coach didn't believe in me at all," she says. "She told me I wasn't going to play in college." She decided not to pursue college until she was suddenly approached with a full ride from Owens. "[It was the] best decision of my life - my love and passion for the sport just took off. I wanted to play every day, as much as I could and I started getting better and better." Champine went on to be an All-American for 2 years at Owens, and an All-American another 2 years at Austin Peay - a Division 1 college in Tennessee - and is a testament to how successful you can be in volleyball at any age. "I was a late bloomer. I was super lucky to have awesome college coaches who knew how to push me in the way I needed to be pushed. I wouldn't have gotten anywhere in volleyball without them," she says. "I also wouldn't have met my better half!" 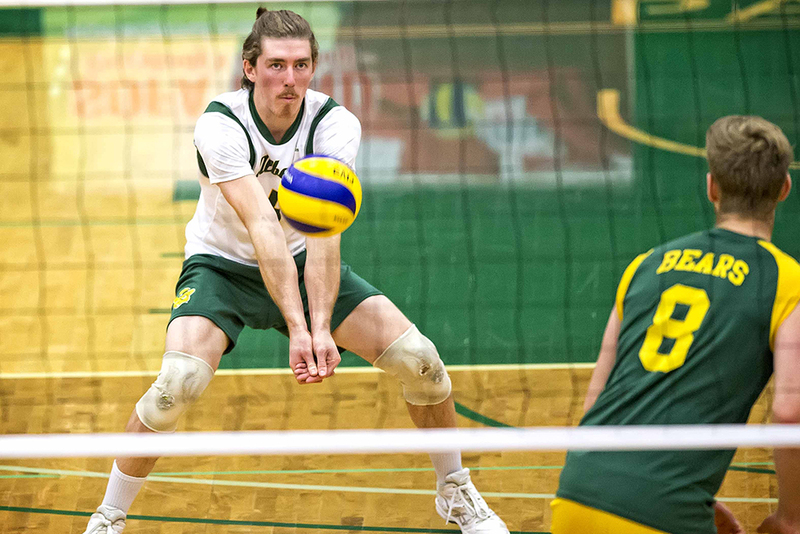 Shaun Dryden decided to give volleyball a try in grade 9, and ended up dropping every other sport the next year to focus on volleyball. "I kept improving and my love for the game grew at the same time. I have not looked back since," he says. 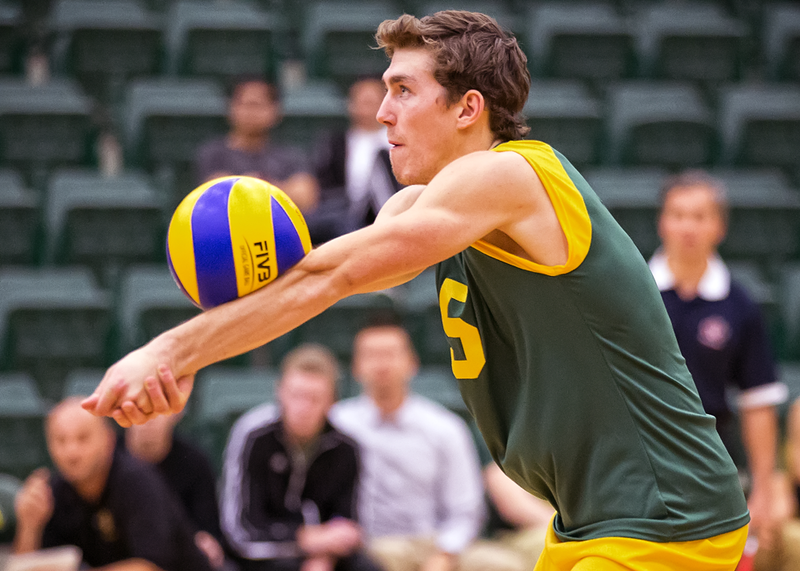 After his time at LA Pierce College and IPFW (Indiana Purdue Fort Wayne), he joined one of the top PVL teams, Team Pineapple, started by former National Team setter and Olympian Lloy Ball. 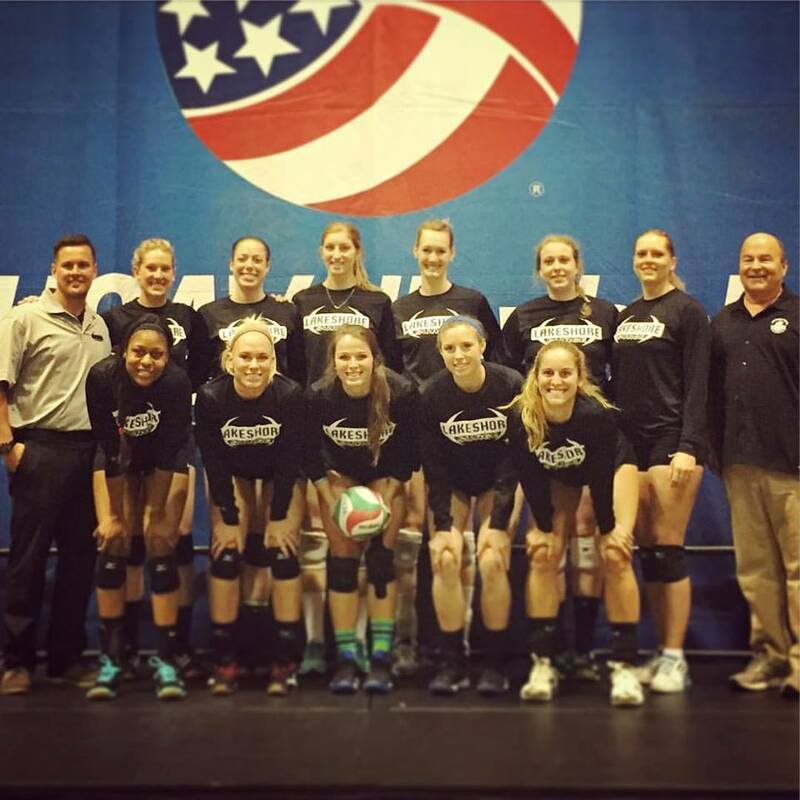 "We have been competing in the top tournaments in the USAV Open Championships, and won the 2015 and 2016 Championships back to back." In 2017, Team Pineapple lost to the California Blizzard's who picked up Premier League athlete Ray Szeto. "I hate to lose period," Dryden says, "Any loss that I have sticks with me, and I try to learn from it so the mistakes don't happen again." 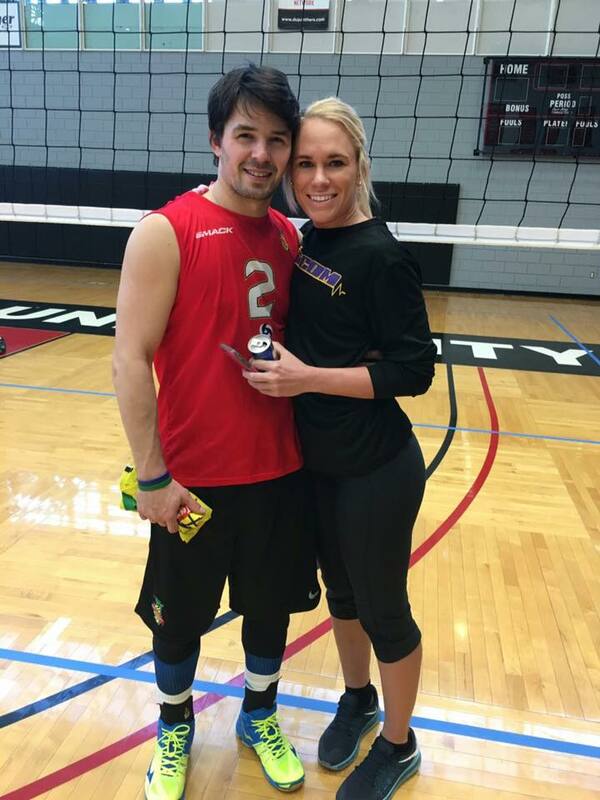 Stephanie and Shaun were introduced at the Doble (PVL touranment in Michigan that Canadian's frequent every year), in 2015 but had more time to get to know each other at the USAV National Championships later that year. "He continued to keep in touch with me even though he was living two hours away," Champine says. "We made plans to hang out a few weeks later and the rest is history!" You can catch this All-American couple at the first Challenger Series event presented by Neighburr - Saturday, October 21st, 2017 at the Scarborough Pan Am Centre. 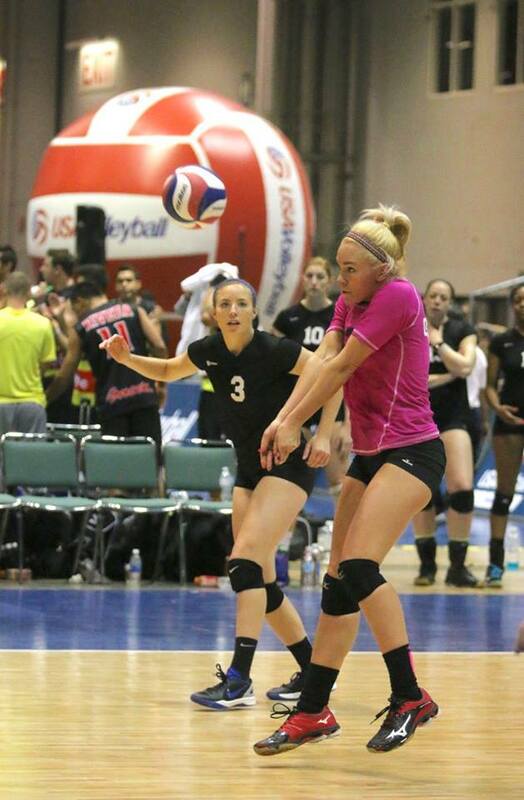 About: the PVL is the American Premier Volleyball League - a collection of tournaments you can play to quality for the USA National Volleyball Championships that boasts a $40,000 purse - $10,000 1st, $6,500 2nd and $3,500 3rd for both men and women. The League unfortunately folded last year, but the teams remain in competition in various tournaments in order to compete at the National Championships in May.